Best Time & Weather To Travel To Akagera? Scroll Down For Details.. The natural wilderness of Akagera National Park is so mesmerizing that you could visit at any time of the year. Every season provides an opportunity to view the park in a new light. Although it is just a couple of degrees south of the equator, the park altitudes between 1250 - 1825 meters, which makes the climate temperate and enjoyable year-round. Bush vacationers are often surprised to find that the average high temperature remains moderate throughout the year, generally somewhere between 25 to 27 Celsius (77°F to 81°F). Nighttime low temperatures hover between 14°C and 16°C (57°F to 61°F), making for a comfortable sleep. Like the rest of the climate in Rwanda, Akagera Park has two dry seasons: the long dry season runs from June through September (the best time to visit), while the short dry spell lasts from mid-December to mid-February. If you are touring the reserve to view the incredible wildlife it sustains, you must choose the dry season for a visit. The undergrowth is sparse, and, since animals and birds converge on the water bodies to drink, they are easy to spot. There are also fewer bugs and navigating the forest roads in safari vehicles is a lot easier. 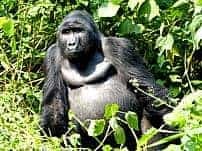 These seasons are also perfect for combining your travel with a trek in Volcanoes National Park to view the famed mountain gorillas of Rwanda. Rwanda has two wet seasons: the long rains and the short rains. The long rains last from mid-February until the month of May, while the short rains fall from the beginning of October up to mid-December. Even during the wet seasons, however, it does not rain continuously. 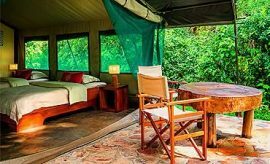 In fact, while some elevated areas may experience more rain than others, and there will be days on your safari holiday when the skies are clear and the sun shines brightly. Akagera National Park is stunningly beautiful in the wet season. The rains bring new vegetation to the park and, while the lush new growth is amazing to view, wildlife spotting may take more time and patience. With water and foliage plentiful, grazing animals need not wander too far to look for food and drink. The wet seasons are perfect for spending time beside the lakes. 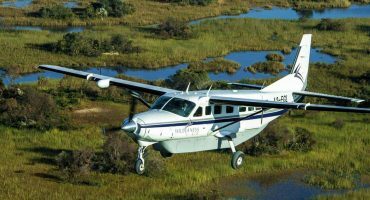 When planning your safari tour to Akagera, you may prefer to time it to coincide with the warmer months in North America and Europe, when children are on their summer break and family trips are common. The weather in Rwanda is cool and perfect for your visit during this time. Many guests also visit in the months of December and January, when it is much warmer than in northern hemisphere countries and the holiday season offers a great time for a family vacation in Rwanda. Akagera has limited accommodations. 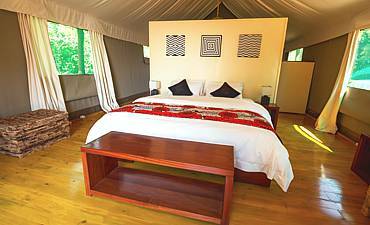 If you prefer a deluxe experience, you can opt to stay at Ruzizi Tented Lodge with 9 tents only. 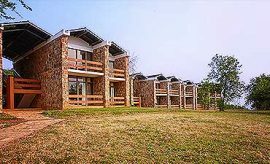 For a value stay, opt for the 62-room motel-style Akagera Game Lodge. 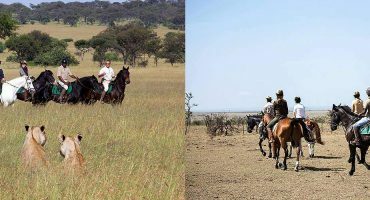 Spend your safari game drives in Akagera viewing both small and large grazing herbivores alongside stealthy predators. Birdwatchers will be enchanted by the sheer multitude of avian fauna found here. Situated along the northeastern border, the reserve was created in 1934. 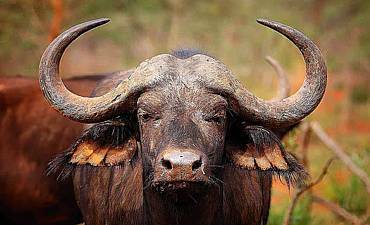 Today, Akagera hosts all the Big Five of Africa. In 2015-2017, conservation efforts were made to bring back the lions and rhinos. AfricanMecca Safaris offers incredibly knowledgeable and skilled services! Our travel arrangements for 2 months of volunteering with TEACH Rwanda in country were made quickly and economically. Honored to work with Raza! I just returned from a month in Africa, specifically Rwanda & Kenya. I am left breathless with my experience. AfricanMecca Safaris coordinated the entire trip for me and left no detail, nothing for me to do. This is to let you know my guests, The Bryant's, had a wonderful time on the trip Samburu, Masai Mara/Kenya, Chobe/Botswana & Victoria Falls/Zambia. Everything was perfect! Thank you. Rwanda was amazing. The accommodations, food, and guides AfricanMecca arranged were great. Raza also helped us through the complicated process of getting permits for gorilla trekking. 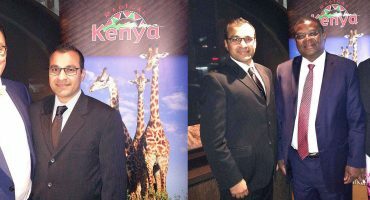 AfricanMecca is a fantastic company to work with. When visiting Akagera, we recommend combining it with a gorilla and primate safari to Volcanoes (Parc National de Volcans), Nyungwe and a city tour of Kigali. You may optionally extend out to other wilderness areas of Gishwati-Mukura ending with a beach vacation at Lake Kivu or even extending out to the exotic spice island of Zanzibar or Lamu, or even Mombasa. 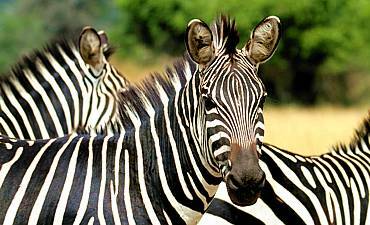 ARE YOU PLANNING AN AFRICAN SAFARI TO AKAGERA IN RWANDA? HAVE YOU VISITED AKAGERA FOR AN AFRICA SAFARI IN RWANDA?